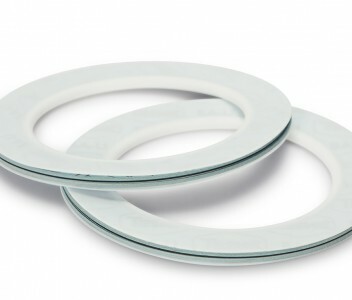 PTFE enveloped gaskets have a PTFE envelope open on one side, usually on the outside. Thanks to their high chemical stability, good mechanical properties and permanent resistance to the atmosphere (humidity, gas and temperature changes) they are suitable for use with various substances, particularly aggressive chemicals. Products are made from PTFE.